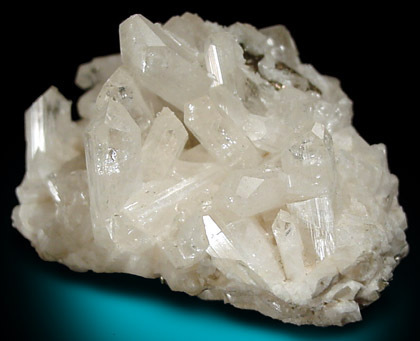 Danburite: Mineral information, data and localities. 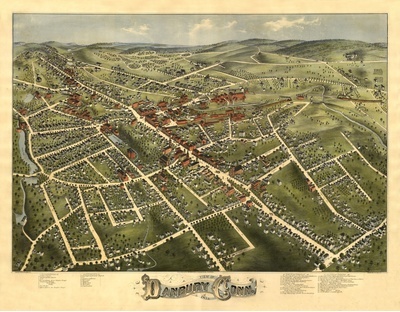 For the type locality at Danbury, Connecticut, USA. The calcium analogue of Maleevite and Pekovite. Visit gemdat.org for gemological information about Danburite. Calcite 92 photos of Danburite associated with Calcite on mindat.org. Quartz 49 photos of Danburite associated with Quartz on mindat.org. Magnesio-riebeckite 41 photos of Danburite associated with Magnesio-riebeckite on mindat.org. Datolite 32 photos of Danburite associated with Datolite on mindat.org. Pyrite 26 photos of Danburite associated with Pyrite on mindat.org. Amethyst 16 photos of Danburite associated with Amethyst on mindat.org. Chalcopyrite 13 photos of Danburite associated with Chalcopyrite on mindat.org. Elbaite 9 photos of Danburite associated with Elbaite on mindat.org. Sphalerite 9 photos of Danburite associated with Sphalerite on mindat.org. Citrine 8 photos of Danburite associated with Citrine on mindat.org. 17.5.14 Oyelite Ca10Si8B2O29 · 12.5H2O Orth. 17.5.51 Hellandite-(Y) (Ca,REE)4Y2Al◻2(B4Si4O22) (OH)2 Mon. Shepard, C.U. (1839) Notice of danburite, a new mineral species. American Journal of Science and Arts: 35: 137-139. Shepard, C.U. (1840) Der Danburit, eine neue Mineralspecies. Annalen der Physik und Chemie: 126 (2/050): 182-182. Dunbar, C., Machatschki, F. (1931) Structure of danburite, CaB2Si2O8. Zeitschrift für Kristallographie: 76: 133-146. Phillips, M.W., Gibbs, G.V., Ribbe, P.H. (1974) The crystal structure of danburite: A comparison with anorthite, albite, reedmergnerite. American Mineralogist: 59: 79-85. Lindbloom, J.T., Gibbs, G.V., Ribbe, P.H. (1974) The crystal structure of hurlbutite: A comparison with danburite and anorthite. American Mineralogist: 59: 1267-1271. Sugiyama, K., Takéuchi, Y. (1985) Unusual thermal expansion of a B-O-bond in the structure of danburite CaB2Si2O8. Zeitschrift für Kristallographie: 173: 293-304. Hackwell, T.P. and Angel, R.J. (1992) The comparative compressibility of reedmergnerite, danburite and their aluminum analogs. European Journal of Mineralogy: 4: 1221-1227. Kimata, M. (1993) Crystal structure of KBSi3O8 isostructural with danburite. Mineralogical Magazine: 57: 157-164. Shannon, R.D., Shannon, R.C., Medenbach, O., Fischer, R.X. (2002) Refractive index and dispersion of fluorides and oxides. Journal of Physical and Chemical Reference Data: 31: 931-970. 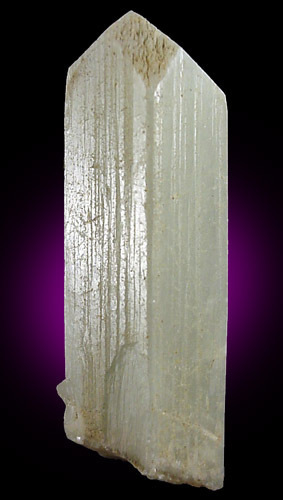 The following Danburite specimens are currently listed for sale on minfind.com. Birch, W. D. (1996). Danburite‐bearing calc‐silicate rocks from the Ascot Hills, Dookie, Victoria. Australian Journal of Earth Sciences, 43(4), 387-393. GEOBOL-PNUD, Proyecto Asbesto, March 1977. Alfredo Petrov, field collected specimens. Canadian Mineralogist (1981): 19: 291-301. BURNS, P.C., HAWTHORNE, F.C. & STIRLING, J.A.R. (1992): Trembathite, (Mg,Fe)3B7O13Cl, a new borate mineral from the Salt Springs potash deposit, Sussex, New Brunswick. Canadian Mineralogist 30, 445-448. Canadian Mineralogist 41:117-137; Northern Mineral Showings Database, NWT Geoscience Office. R.C. Boehner, "Salt and Potash Resources in Nova Scotia", N.S. Dept. Mines and Energy, Bulletin 5, 1986. Pauliš, P.: Skarnové ložisko Vlastějovice u Zruče nad Sázavou. Minerál, 1996, roč. 4, č. 6, s. 392-398. Effmert, G.; Wurth, L. (2007): Bleicherode, Thüringen: Ein Feuerwerk von Gips-Kristallen, Mineralien-Welt 6/2007, p.42-47. Camara, F., Oberti, R., Ottolini, L., Ventura, G. D., Bellatreccia, F. (2008): The crystal chemistry of Li in gadolinite. American Mineralogist, 93, 996-1004. Fantappiè L. (1896): La Danburite ed altri minerali: in alcuni pezzi notevoli di rocce antiche, tra i “blocchi errratici” della regione Cimina. Rend. R. Acc. Naz. Lincei, Classe sci. fis. mat. nat., ser. 5, 5, 2, 108-113; Fantappiè L. (1897): Nuove osservazioni su minerali dei blocchi erratici della regione cimina. Riv. Miner. e Crist. Ital., 17, 3-19; Scherillo A. (1940): I proietti con minerali boriferi dei Vulcani Cimini. Per. Mineral., 11, 367-391; Stoppani F.S, Curti E. (1982): I minerali del Lazio. Editoriale Olimpia, Firenze, 291 pp. Cabella R., Cotesogno L., Lucchetti G. (1987): Danburite-bearing mineralizations in metapelites of Permian age (Ligurian Brianconnais, Maritime Alps, Italy). N. Jahrb. Mineral. Monatsh., 7, 289-294; Piccoli G.C. (2002): Minerali delle Alpi Marittime e Cozie. Provincia di Cuneo. Amici del Museo "F. Eusebio" di Alba, Ed., Alba, 366 pp. ; Piccoli G. C., Maletto G., Bosio P., Lombardo B. (2007): Minerali del Piemonte e della Valle d'Aosta. Associazione Amici del Museo "F. Eusebio" di Alba, Ed., Alba, 607 pp. De Vito et al (2006): Nb-Ti-Ta oxides in the gem-mineralized and "hybrid" Anjanabonoina granitic pegmatite, central Madagascar: A record of magmatic and postmagmatic events. Canadian Mineralogist. 44: 87-103. Rocks & Min. : 63:456; Panczner (1987): 87-251.. Rocks & Min. :63:456; Panczner(1987):177 & 186. Thomas, R. & Davidson, P. (2010): Hambergite-rich melt inclusions in morganite crystals from the Muiane pegmatite, Mozambique and some remarks on the paragenesis of hambergite. Mineralogy and Petrology, 100, 227-239. Harlow, G.E. & Hawthorne, F.C. (2008): Herderite from Mogok, Myanmar, and comparison with hydroxyl-herderite from Ehrenfriedersdorf, Germany. American Mineralogist, 93, 1545-1549. Dr. Kyaw Khaing Win pers. comm. Garrett, Donald E. (1998) Borates. Handbook of Deposits, Processing, Properties, and Use. Mazurov, M.P., Grishina, S.N., Istomin, V.E., and Titov, A.T. (2007): Geology of Ore Deposits 49(4), 271-284. Baskina, V. A., Prokof’ev, V. Y., Lebedev, V. A., Borisovsky, S. E., Dobrovol’skaya, M. G., Yakushev, A. I., & Gorbacheva, S. A. (2009). The Dal’negorsk borosilicate skarn deposit, Primorye, Russia: composition of ore-bearing solutions and boron sources. Geology of Ore Deposits, 51(3), 179-196. [MinRec 32:44]; Zagorsky, V. Y., Peretyazhko, I. S., Sapozhnikov, A. N., Zhukhlistov, A. P., & Zvyagin, B. B. (2003). Borocookeite, a new member of the chlorite group from the Malkhan gem tourmaline deposit, Central Transbaikalia, Russia. American Mineralogist, 88(5-6), 830-836. Clark, 1993 - "Hey's Mineral Index", p66; Stalder, H. A., Wagner, A., Graeser, S. and Stuker, P. (1998): Mineralienlexikon der Schweiz. Wepf (Basel), p. 131. Evseev, A. A. (1995) Kazaknstan and Middle Asia. A brief Mineralogical Guide. World of Stone 8:24-30; Thomas, R., & Davidson, P. (2010). Hambergite-rich melt inclusions in morganite crystals from the Muiane pegmatite, Mozambique and some remarks on the paragenesis of hambergite. Mineralogy and Petrology, 100(3-4), 227-239. Pekov, I. (1998) Minerals First discovered on the territory of the former Soviet Union 369p. Ocean Pictures, Moscow; Konovalenko, S. I., Voloshin, A. V., Pakhomovskiy, Y. A., Anen'yev, S. S., Perlina, G. A., Rogachev, D. L., & Kuznetsov, V. Y. (1984). Tusionite, MnSn (BO3) 2, A New Borate from Granite Pegmatite of Southwestern Pamir. International Geology Review, 26(4), 481-485. Hintze, J. (2010): Safari njema - Afrikanisches Tagebuch (I): Die gelben Danburite von Morogoro in Tansania. Lapis 35 (3), 25-28 (in German). ; Radl, W. & Weiß, S. (2010): Gelber Danburit - ein neuer Edelstein von Morogoro in Tansania. Lapis 35 (3), 28-31 (in German). Rumsey, M.S., Ryback, G., and Tayler, R. (2011) Danburite from Meldon Quarry, Okehampton and other UK localities. Journal of the Russell Society 14:26-32. Anthony, J.W., et al (1995), Mineralogy of Arizona, 3rd.ed. : 199. Woodford, A.O., Crippen, R.A., and Garner, K.B. (1941) Section Across Commercial Quarry, Crestmore, California. American Mineralogist: 26: 352-381; Eakle, A.S. (1927) Famous mineral localities: Crestmore, Riverside County, California. American Mineralogist: 12: 319-321; Jenni, Clarence M. (1957), Crestmore and its minerals: Gems & Minerals, No. 238: 34-79, July 1957; Pemberton, H. Earl (1983), Minerals of California; Van Nostrand Reinholt Press: 368. Cooney, R.L. (1956), The mineralogy of the Jensen and Henshaw quarries near Riverside, California: Unpublished Master’s thesis, University of California at Los Angeles: 16; Pemberton, H. Earl (1983), Minerals of California; Van Nostrand Reinholt Press: 368; Devito, F. and Ordway, A. (1984), The Jensen Quarry, Riverside County, California. Mineralogical Record: 15(5): 273-290. Shepard, Charles U. (1839): Notice of Danburite, a new mineral species. 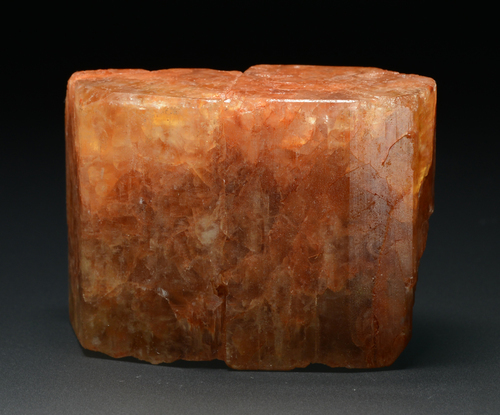 American Journal of Science: series 1, 35 (1): 137-139; Dana, James D. (1850): On Danburite. American Journal of Science: series 2, 9: 286-287; Januzzi, Ronald E. (1976): Mineral Localities of Connecticut and Southeastern New York State. The Mineralogical Press, Danbury, Connecticut: 192-201; Januzzi, Ronald E. (1994), Mineral Data Book - Western Connecticut and Environs. The Mineralogical Press, Danbury, Connecticut. Huff, Russell. 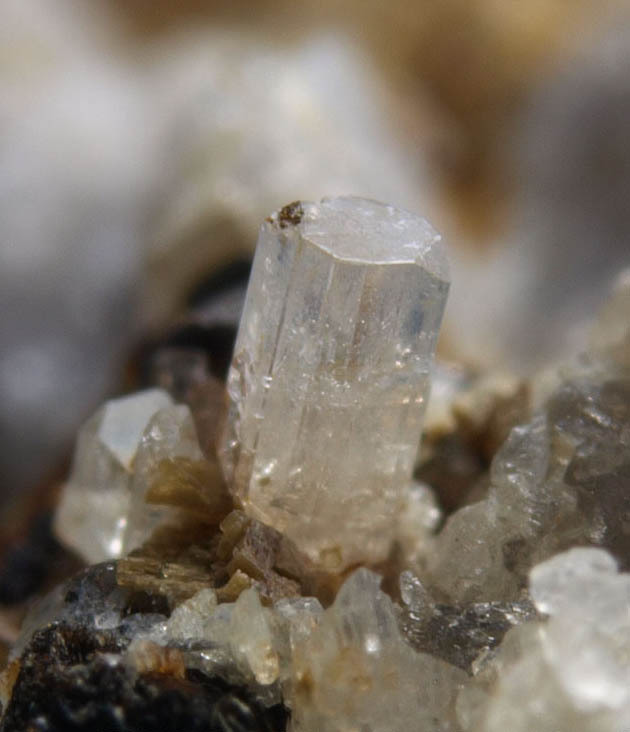 (2013), Rediscovery of Danburite at Danbury, Connecticut. Mineral News: 29(8): 6. Januzzi (1976) Mineral Localities of Connecticut & Southeastern New York State (Januzzi, 1966, 1989) (Trainer, 1938). Marian Lupulescu (2010) The Pegmatites of New York. The 37th Rochester Mineralogical Symposium, April 15-18, 2010; Lupulescu, M. V., Chiarenzelli, J. R., Pullen, A., & Price, J. D. (2010, March). Pegmatites from the Adirondack Mountains, NY: Systematic mineralogy and geochronology. In Geological Society of America Abstracts with Programs (Vol. 42, No. 1, p. 158). Le Thi-Thu Huong, Laura M. Otter, Tobias Häger, Tim Ullmann, Wolfgang Hofmeister, Ulrike Weis, and Klaus Peter Jochum (2016): A New Find of Danburite in the Luc Yen Mining Area, Vietnam. Gems & Gemology, 52 (4), 393-401; Huong, L.T.T. et al. (2017): Charakterisierung gelber Danburite aus Luc Yen, Vietnam. Zeitschrift der Deutschen Gemmologischen Gesellschaft 66, 39-50.